From the headline to the last line we love this in-depth feature on REVOLT, SHE SAID by Anna Coatman. “It feels insurrectionary” to see these fantastic revolutionary films given the space to breathe and speak. 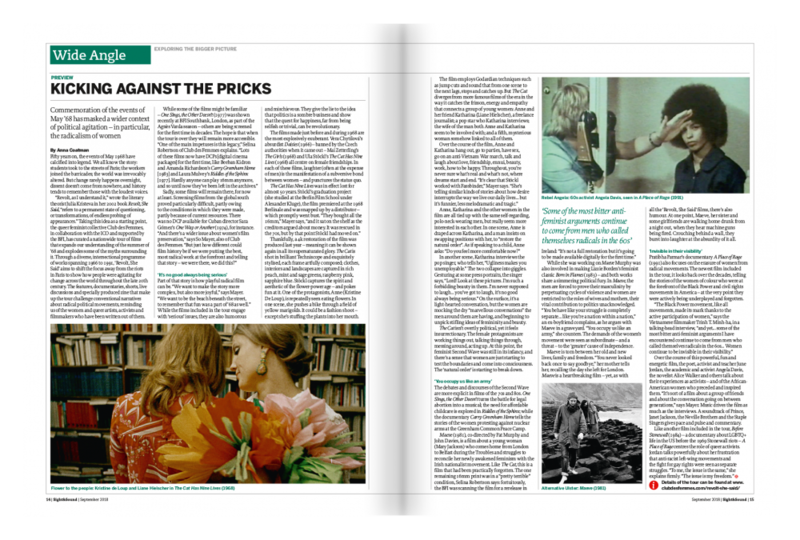 Especially fantastic to see coverage of The Cat Has Nine Lives on the day of our BFI screening, with an extended introduction by Dr. Annie Ring.